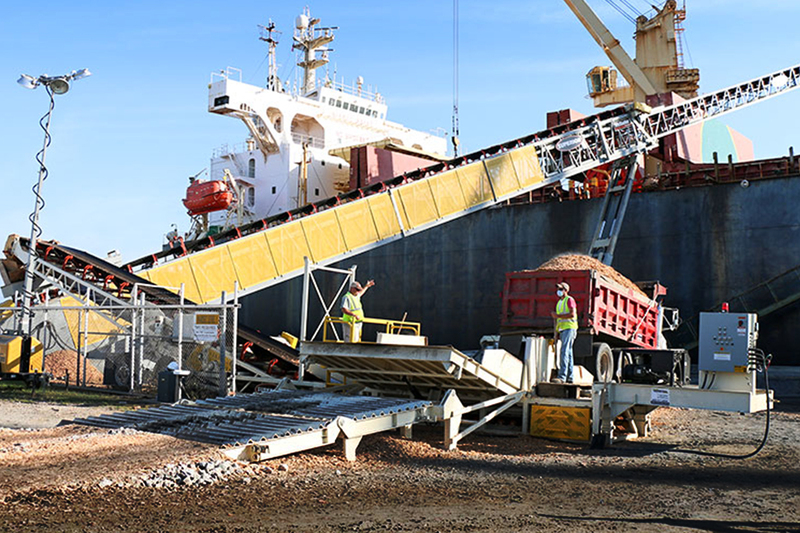 A multi-functional machine, the Razerlink® Mobile Conveyor accelerates material handling in a number of applications including barge loading and unloading, railcar loading, highway construction projects, and heap leach operations. 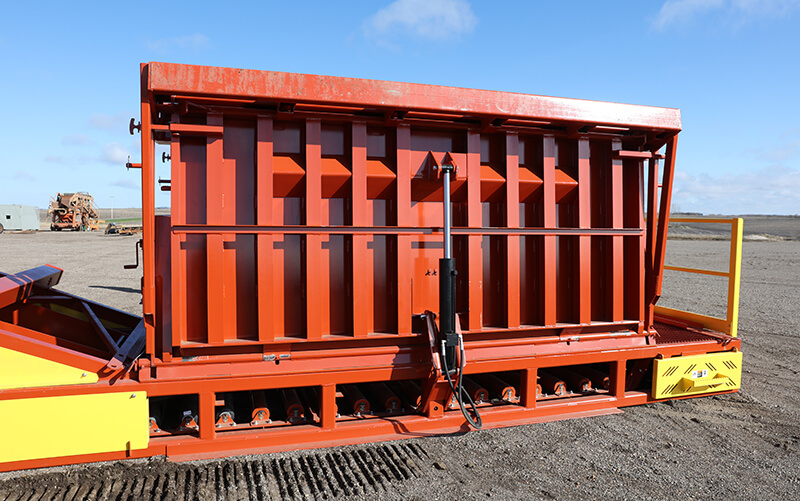 With fully mobile tracks, the remote-controlled unit can move freely about your site. Superior engineers designed the machine with the intent of combining mobility with telescoping conveyor technology in order to reduce downtime and speed up the transfer of material. Material spec is maintained because the unloading bed is connected directly to the conveyor. You can choose from a number of custom options to ensure that your unit is engineered specifically to the standards of your project.